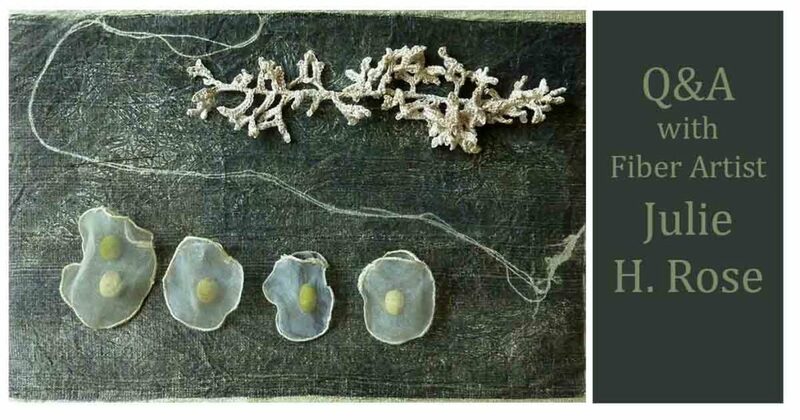 When you discover that one of the crochet designers for Interweave Crochet Spring 2019 is also an incredible fiber artist, you have to share her story. 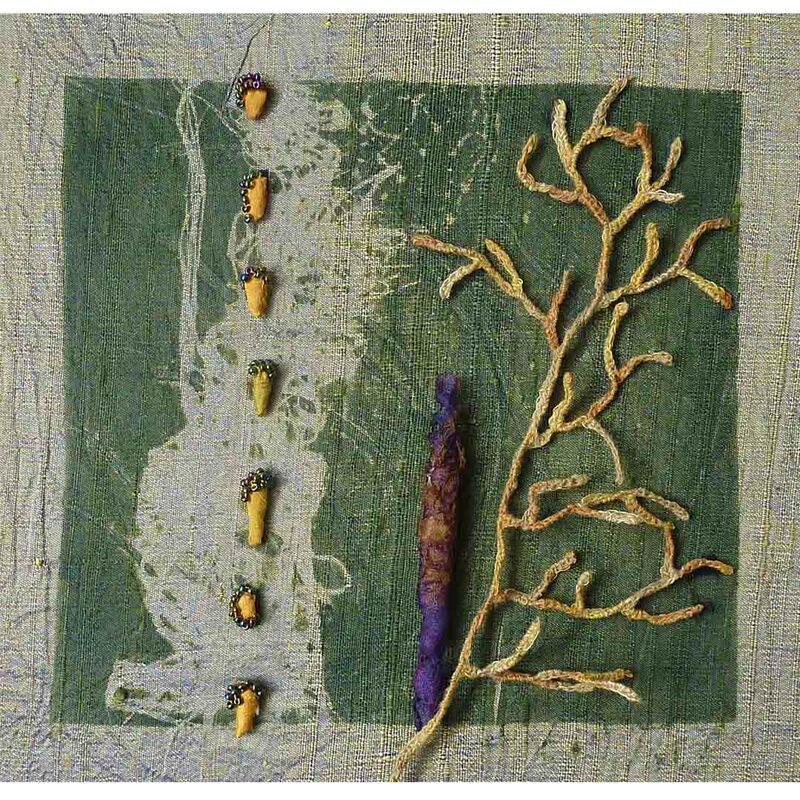 As I was contracting the projects for the spring issue, I found myself in a discussion of art, material, and fiber with Julie H. Rose. The Kelp Necklace she designed for Interweave Crochet Spring 2019 uses a stitching pattern that she’s included in her art for a long time. We thought you would enjoy seeing it, because you’ll almost certainly find some crochet inspiration from this crafter-turned-artist. Q: HOW DID YOU GET STARTED WITH FIBER? A: My mother taught me to crochet and sew when I was very young. My keen interest in fiber arts led me to learn to spin, weave, dye, knit, embroider, quilt, and make lace. I attended the School of Visual Arts in New York City, where I received my BFA, and eventually moved to Maine to raise sheep. Currently, I teach both art and craft to adults in rehab and community settings, work on my fine art, and occasionally write knitting and crochet patterns. Q: CAN YOU DESCRIBE THE INSPIRATION FOR YOUR ART PIECES? A: The inspiration is nature. As an illustrator and painter, I’ve been a realist, trying to depict what I see. 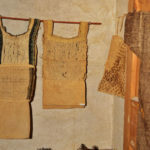 In fiber arts, I’ve been fascinated by the techniques of the past and wanted to make historically accurate and generally useful things. 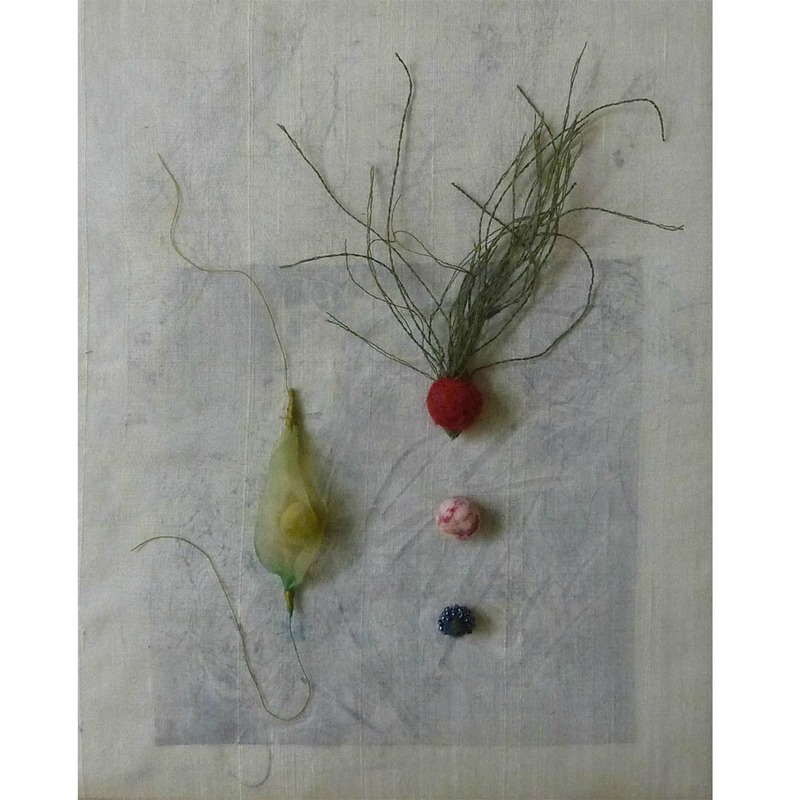 But over the years, I started to create artwork that showed my love of the natural world in another way. I started making things—sticks and seedpods from cloth, leaves in stump-work embroidery, little bits of this and that from all the techniques I’ve acquired over the years—and I simply put them in boxes. When I make a piece, I pick through what’s in the boxes like one would from a collection of found objects. Q: HOW DID YOU DECIDE TO INCLUDE CROCHET IN YOUR ART? A: In my art, I’m always drawing from my well of learned techniques and acquiring new ones when the spirit moves me. Crochet is particularly organic, so of course it found its way into my work. It’s been a traditional choice to create leaf and flower forms, similar to Irish crochet. I love how simple crochet techniques can make beautiful natural forms; even a crochet chain can make tendrils. When I crochet, I don’t plan; it’s really an act of experimentation. Q: CAN YOU DESCRIBE YOUR EXPERIMENTATION WITH DIFFERENT MATERIALS? A: I adore fiber in all its forms and want to discover what I can do with it. When I started making shadowboxes, I hadn’t learned to needlefelt or wet-felt and simply had to add that. I also went back to printmaking, something I learned in art school, for some of the backgrounds in my work. In fact, I use crochet in much of my printmaking. You may not see it, but it’s there as a relief print (printing from raised images). Q: WHAT OTHER MATERIALS WOULD YOU RECOMMEND ADDING TO YOUR KELP NECKLACE PATTERN IN THIS ISSUE? A: I particularly like using Habu Silk Stainless Steel yarn. It’s not stiff at all, but it allows you to mold your crochet a little bit. You can roll the tips of the fronds into pointy shapes with this addition. When I use Habu yarn, I usually combine it with #20 cotton, but you can use anything, even quilting thread. I have a lot of Lizbeth thread and love that you can get the same colors in anything from #20 to #80. I’d recommend trying their variegated thread. Q: ANY ADVICE YOU CAN OFFER FOR THOSE WANTING TO EXPERIMENT WITH MATERIALS AND YARNS IN THE FUTURE? A: Just play! If you use my pattern for the Kelp Necklace, make all the changes you’d like. As for materials, look through your stash (and if you’re like me, you have a lot), go to your local yarn store, or look online for interesting sources. I discovered Lizbeth thread because I was interested in lacemaking, but I also bought a lot of linen and silk thread at that time, which is wonderful to crochet with. 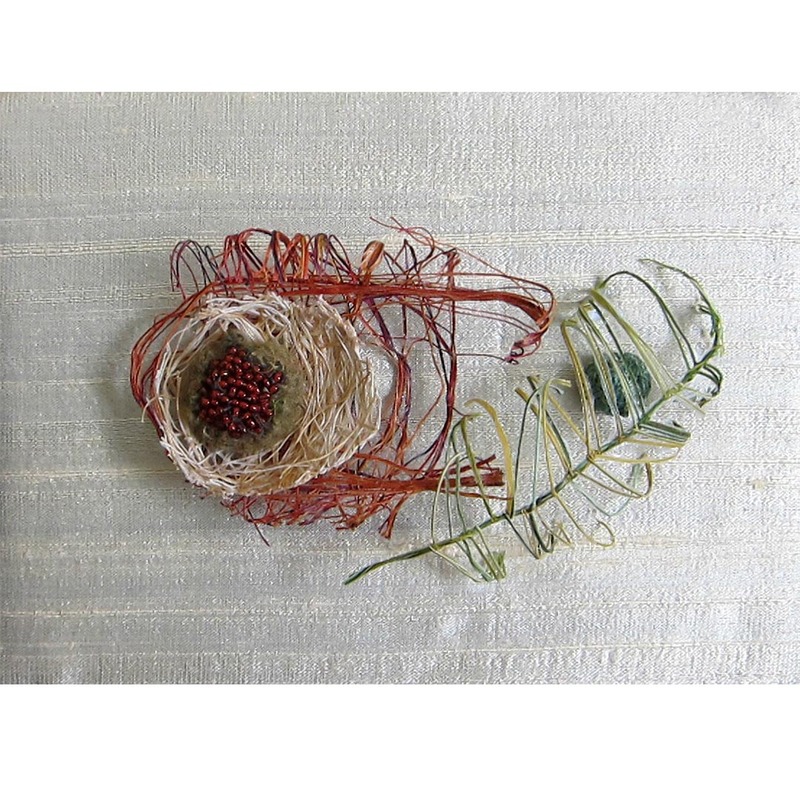 Try using threads and fibers you’ve never tried and see how it looks. Habu offers a fascinating selection of unusual yarn (which I love to play with!). We all have a lot more creativity in us than we realize if we allow ourselves to focus more on the making and learning process than on the end product. That is where true creativity can flourish. Intrigued by the work of Julie H. Rose? This article originally appeared in Interweave Crochet Spring 2019. Find some crochet thread (affiliate link) and a crochet hook (affiliate link) to get started today!